What’s Next After Greek Yogurt? What’s next after Greek yogurt? I am often asked this question, usually in the context of the U.S., as most of the rest of the world is playing catch up in the category, as was evident by the new product rollouts just last week in Paris at SIAL. Greek was the word with most exhibiting dairy companies. Now, after spending three days in Paris…with one free afternoon running around taking selfies with all the historic landmarks and dining on delicious food…I know what’s missing from our menu: European dairy desserts. After a light lunch of Beef Carpaccio topped with arugula, Parmesan and truffle shavings (first time, and last time for me on truffles), baguette and glass of French Chablis at La Grande Epicerie de Paris, a subsidiary of the prestigious department store Le Bon Marché Rive Gauche, I was ready to explore its 3,000 square meters of retail space dedicated to more than 30,000 gourmet foods. At least 3,000 of them had to have been dairy foods. 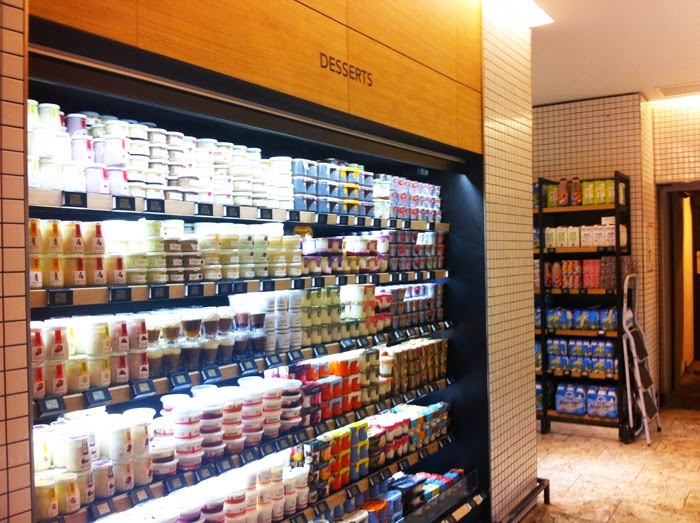 Besides a lot of cheese--some quite smelly—and a great deal of yogurt—with Greek having only a few facings, unlike in the States—I found these two incredible refrigerated walls dedicated to dairy desserts. I’ve never seen anything like this before. And…as you may have guessed…I have never tasted like this before. At two to three times the price of a same-sized yogurt, I spent more than 30 Euros on my sampling spree. Wow, that’s the only word to describe dessert that afternoon! Back in the States, accolades go to two brands trying to break into this premium dairy dessert category. 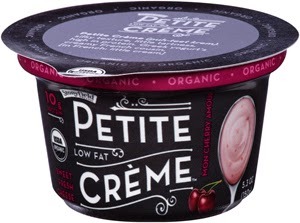 Stonyfield has its new Petite Crème line. This thick, yet silky low-fat, high-protein fresh cheese comes in seven flavors--Belle Blueberry, La Vie en Strawberry, Mon Cherry Amour, Ooh LaLa Peach, Plain, Strawberry-Banana Menage and Vive La Vanilla. 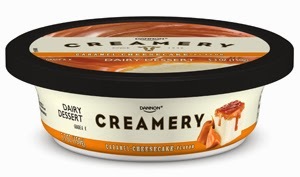 There’s also Dannon Creamery, which includes five cheesecake-inspired dairy desserts that use Greek yogurt as a base and then get topped with sauces, such as blueberry, caramel, cherry, lemon and strawberry. There are also three puddings made with Grade A milk. Flavors are: dark chocolate, milk chocolate and vanilla. Both product lines are currently being merchandised with yogurt rather than refrigerated puddings. If more companies get on board, maybe we can gain some shelf space. 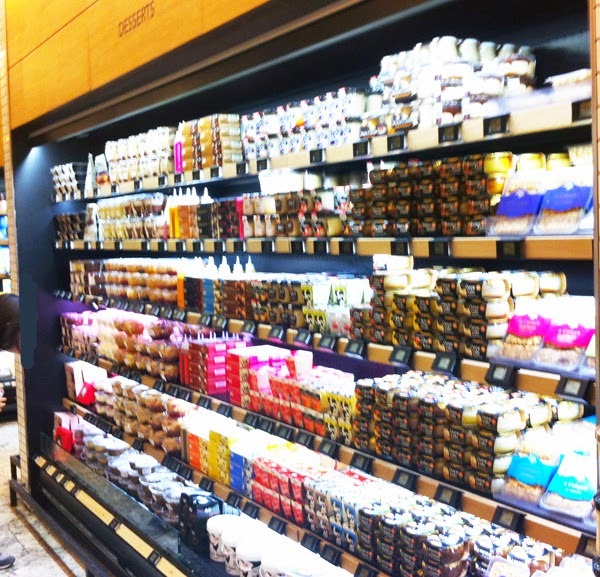 Aim high: La Grande Epicerie de Paris. Here are some innovations I either sampled during my La Grande shopping spree or on the show floor at SIAL. 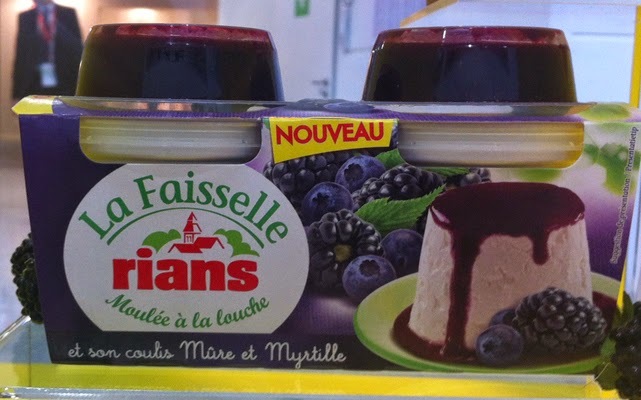 A very impressive line of dairy desserts comes from family-owned Rians, which is located in the French Riviera in the “Berry” region. The company makes desserts designed to be directly eaten from the cup or served on a plate. Please watch this VIDEO. This is exactly what the millennial consumer is looking for. It’s a back to basics. A “clean to clear” product concept with a touch of nostalgia. 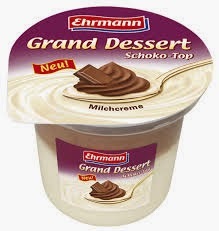 Ehrmann is also known for its decadent dairy desserts. 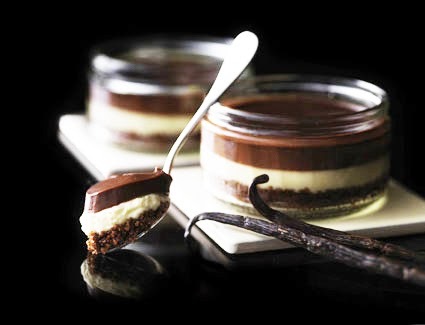 The company is expanding its Grand Dessert Chocolate Stracciatella line, which is described as “Special cream for special connoisseurs: Seductive chocolate dessert cream topped with a cherry and fine chocolate chips.” The company also rolled out a speculoos offering. Building on the salty caramel trend that has invaded the food chain, the flavor of speculoos, a cookie from the Netherlands, is starting to become popular as a flavor or topping on other desserts. It is a shortcrust cookie with a sweet butter and spice (cardamom, cinnamon, clove, ginger and nutmeg) profile. 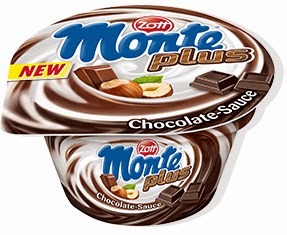 In Germany, the Zott Monte brand, which debuted in 1996 and at the time was described as a completely new kind of dessert, remains a leader in the dairy dessert category. Under development for more than two years, Monte is a combination of fresh milk-cream, chocolate and hazelnuts. This past year the brand expanded with a new concept: Monte Plus. The plus is extra indulgence. The product starts with the original Monte combination and adds a layer of sauce. There are three varieties: Cappuccino, Caramel and Chocolate. 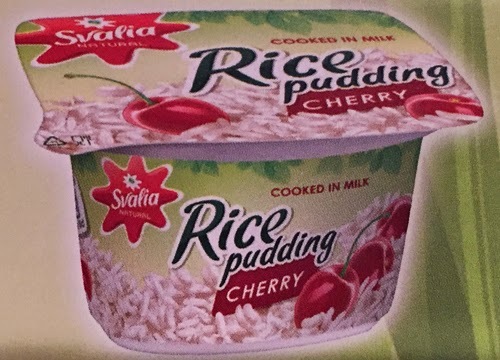 From Lithuania, JSC Pieno Zvaigzdes continues to grow its Svalia Natural line with flavored rice pudding that can be served hot or cold. Varieties are: Apricot, Cherry, Strawberry and Vanilla. The company also offers microwaveable dairy-based porridge in five grain and oatmeal variants. Poland’s Mlekovita brand is introducing a new porridge concept that combines yogurt with fruit, oatmeal and grains. Varieties are Apple, Banana and Strawberry. Stay tuned for more details on many of these products. To start receiving the Daily Dose of Dairy, SUBSCRIBE HERE. During my 20-plus years in the dairy industry, I have come to appreciate many packaging innovations. Two have already made their mark and a third is ready to become even bigger than it currently is. I am honored to have been involved in all of their rollouts. 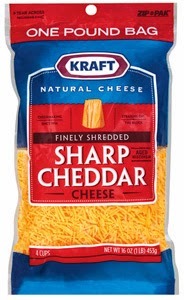 It was 1991 and Kraft’s shredded cheese was still in non-recloseable packaging. Rather than be a follower and switching to vertical-zipper packaging, which Sargento was first to market with in 1986, Kraft was installing revolutionary horizontal-zipper machinery. Less zipper meant lower material costs and a reduced opportunity for leakers. It also was an easier package for the consumer to pour out shreds. Most consumers, and even most in the food industry, have no idea the impact that the horizontal-zipper package has made on the industry. The next time you are at the supermarket, just look at all the product—from food to personal hygiene to household goods—in this package. Soon after leaving Kraft in 1993 and starting my career in dairy trade writing, my fellow editors and I were being teased---and sworn to secrecy—by our friends (Dave H., I believe you were one of them, as was the belated Jim Page) at the then Franklin Park, Ill.-located Dean Foods with the concept of the Milk Chug. To read an early news wire release (circa 1997) on the introduction of the Milk Chug, link HERE. It is an interesting read so many years later. Anyway…I doubt anyone would disagree that this package, and its many spin-off plastic bottles, along with shrink-sleeve labeling, did change the way consumers drink milk. After all, cup holders are round, not square! Two honorable mentions in the fluid milk industry include recloseable spout technology for gabletop cartons and the blow-molded plastic gallon. Yes, the latter sounds so basic, but I am old enough to remember the highly dysfunctional paperboard gallon gabletop with the plastic handle that too often became detached, resulting in messy milk spills…at least in my house growing up. So now let’s discuss the third packaging innovation that I believe has tremendous potential to improve the portability of many dairy foods. It’s the pouch. Here’s some history on the pouch in the U.S. refrigerated dairy case, and for that matter, in the U.S. The first pouched food in the States came from Lifeway Foods and CEO Julie Smolyanksy will tell you it was the result of a conversation we had at Pack Expo in the fall of 2002, soon after she took the helms of the company after her father, Michael Smolyansky, the company’s founder, passed away. (By the way, earlier this month, Julie was named on Fortune magazine’s “40 Under 40,” an annual list of the most innovative and influential business leaders under 40 years old, and as one of the “55 Most Influential Women on Twitter” lists. Julie became Lifeway’s CEO at the age of 27, making her the youngest female CEO of a publicly held firm. We recently were chatting about the pouch, an idea that came to her when running the London marathon in April 2002 where she consumed a sports energy pouched product called Lucozade on the race course. “I was thinking that in the U.S., adults would never drink out of a pouch but that it would be great for kids,” she said. After our conversation at Pack Expo in November 2002, where I pointed her in the direction of the pouch machinery company, and a couple of years of R&D and market development plans, ProBugs Kefir entered the marketplace. Today, ProBugs Kefir is a highly successfully refrigerated dairy product with live and active cultures, unlike the copycat baby food yogurts in the ambient aisle. 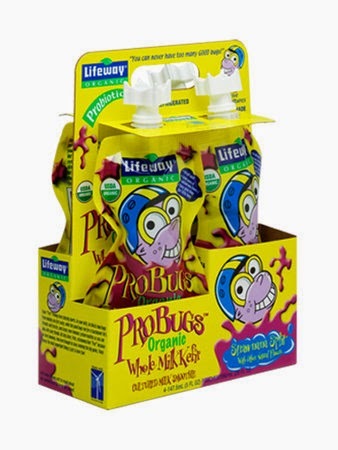 ProBugs Kefir remains the only pouch product in the States to have a no-spill spout with a valve. “It’s more expensive than other pouches, but a feature any parent of a 4-month to 8-year old can appreciate,” Julie said. Since ProBug’s debut, other have entered the U.S. refrigerated market, including Ehrmann Commonwealth, Kemps, Stonyfield and private label. Most recently, Chobani announced that it will target toddlers with a new pouch product called Chobani Tots that is slated to rollout in January. I personally think the opportunities with the pouch extend beyond little ones. 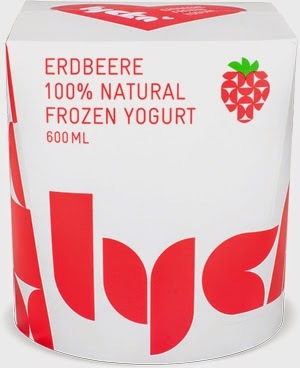 In The Netherlands, Arla Foods markets a pouch yogurt product under the Melkunie Breaker brand. There’s an original and a recently introduced high-protein version. The latter, which is yogurt enhanced with milk protein concentrate, is marketed as an on the-go product that supports muscle growth, maintenance of normal bones and muscle recovery after exercise and sports. The 200-gram pouches come in Mango Passionfruit and Vanilla varieties. Each pouch contains 168 calories, 1.8 grams of fat and 12 grams of protein. 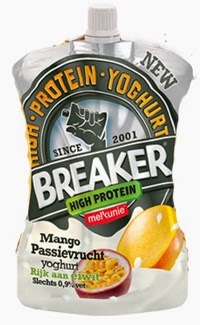 The original Breaker line debuted in 2001 when the company was “breaking” the dairy category norm by putting yogurt in a pouch. 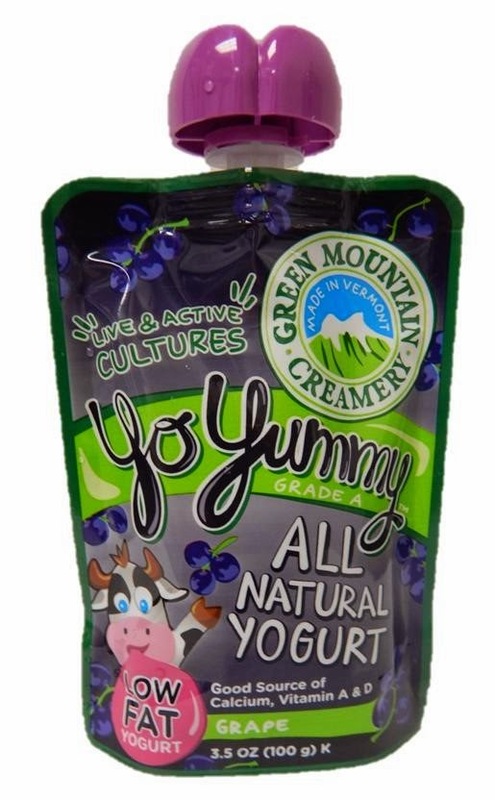 This truly may have been the world’s first pouched yogurt. The original line comes in varieties such as low-fat Banana, Cherries with Sunflower Seeds, Peaches with Sunflower Seeds, Raspberry and Strawberry. A 200-gram Breaker original contains 200 to 230 calories, 4 to 8 grams of fat and 6 to 7 grams of protein. There’s also a 0% fat Breaker in Strawberry. 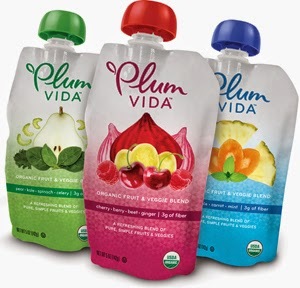 Recognizing the opportunity with pouches for adults, organic kids’ nutrition company Plum Organics recently debuted Plum Vida. This non-dairy 5-ounce ambient pouch product is a blend of fruits and veggies. Each pouch contains 3 grams of fiber and 70 to 90 calories. There’s Cherry Berry Beet Ginger, Pear Kale Spinach Celery and Pineapple Carrot Mint. While in SIAL in Paris this past week, I came across a number of refrigerated pouched dairy products, including fortified flavored milks, creams, sauces and processed cheeses. Stay tuned for more on the latter. 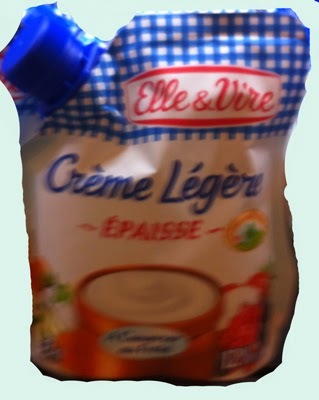 I believe the pouch is poised to change the way kids and adults eat and cook with dairy foods. From yogurt to milk to cheese to condiments, the possibilities for the pouch are endless. Dairy Foods 2015: Are you ready for the New Year? Many innovations debuting at last week’s NACS (convenience store) show have retailer rollout dates of January 2015, serving as a reminder that 2014 will soon come to an end. Are you ready for the New Year…or better yet, do you have new products in the pipeline to meet the needs of the savvy consumer of 2015? Without a doubt, reducing sugar and increasing protein will drive innovation in 2015. In a recent HealthFocus study, An In-Depth Look at Consumer Views on Protein and Carbohydrates, 73% of the 1,009 respondents claimed to limit carbohydrates in some way. At first glance this might seem like a major issue for all carbohydrate-based products but it turns out that the definition of carbohydrates also plays a role. For the most part, it is the simple carbs, those known as sugar or a comparable term, that are being limited. The study combined both an in-depth look at the carbohydrates being cut with current interest in increasing protein. While the two are happening simultaneously, one did not cause the other. Further, protein has no downside to most consumers. 1) There will be less added sugar in everything dairy. In some cases, the reduction will be stealth. Reducing inherent lactose complements this trend. 2) Dairy proteins rule in the world of food ingredients. 3) The cultured dairy category, including yogurt, will be fat friendly, and Greek is no longer the only word. 4) Simple and clean continue to be important. Get rid of those artificial colors. 5) Functional nutrition in dairy foods seemed to be on hiatus the past few years because of both the economy and regulatory mayhem in the European Union. The time is right to get back on track. Think fiber, omega-3s and plant sterols. Let’s explore 10 new dairy foods that complement many of these trends. 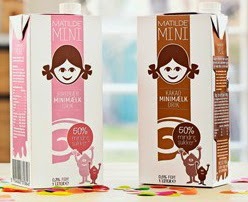 In Denmark, Arla Foods now offers Matilde Mini flavored milk in 1-liter shelf-stable boxes. Available in chocolate and strawberry flavors, Matilde Mini is a guilt-free milk made with skim milk and contains half the sugar of typical flavored milk. 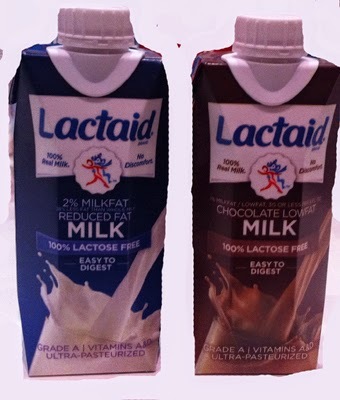 To maintain a desirable sweet profile, the company adds lactase enzyme to break down lactose, milk’s inherent sugar, into galactose and glucose, which naturally increases sweetness without adding sugar. The ingredient statement indicates that the formula contains only 2% added sugar. Chicory root fiber also helps with sweetness, while delivering 2.8 grams of fiber per 100-gram serving. A serving contains 43 calories, 0.5 grams of fat and 3.5 grams of protein. Containing no artificial additives, it’s clean label, too. As the name suggests, TeaGurt is a drink that combines tea with nonfat yogurt. Produced by Kirin and sold in Thailand, the drink combines the health benefits of these two on-trend foods into one convenient 350-milliliter single-serve bottle. 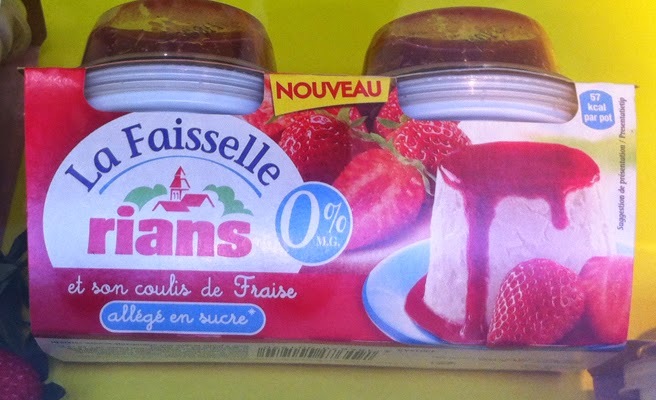 French-based retailer Carrefour markets private-label tiramisu dairy desserts in four packs of 90-gram cups. A serving contains 226 calories, 10 grams of fat, 22 grams of added sugar and 4.6 grams of protein. Calories and added sugars are kept in check through the use of chicory root fiber, which also provides for 2 grams per serving. 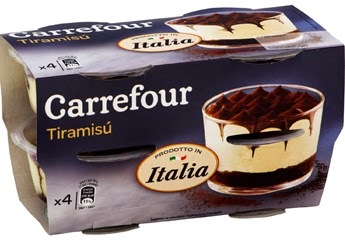 Carrefour Tiramisu is made with mascarpone, eggs and Italian Marsala wine. Chobani grows its Simply 100 Greek Yogurt line with Pineapple Coconut and Key Lime, which joins the original six flavors of Black Cherry, Blueberry, Peach, Pineapple, Strawberry and Vanilla. The ingredient panel for the Pineapple Coconut variety reads: Nonfat Yogurt (Cultured Pasteurized Nonfat Milk, Live and Active Cultures: S. thermophilus, L. bulgaricus, L. acidophilus, Bifidus and L. casei), Chicory Root Fiber, Pineapple, Water, Evaporated Cane Juice, Pectin, Natural Flavors, Coconut, Locust Bean Gum, Pectin, Monkfruit Extract, Stevia Leaf Extract, Tumeric (for color). It is the only 100-calorie brand to use chicory root fiber, monkfruit extract and stevia to keep calories low and add fiber. In fact, Chobani is the only 100-calorie Greek yogurt to be enhanced with fiber. The chicory root does that and more. It also enhances and rounds out sweetness. The key nutritionals are: 0 grams fat, 5 grams fiber, 7 grams sugar, 12 grams protein, per 5.3-ounce cup. In case you missed this week’s Daily Dose of Dairy on Nestle’s soon-to-be introduced Skinny Cow Iced Coffee, you can link to it HERE. Each 8-fluid-ounce bottle contains 120 calories, 2.5 grams of fat and 18 grams of sugar. The latter is achieved through the use of a blend of sugar with monk fruit extract. Reduced-fat milk is the number-one ingredient in this shelf-stable beverage. Ready-to-drink (RTD) or iced coffee has been seeing a period of strong product and market activity in recent years. It remains one of the smallest sectors of the soft drinks market in terms of new product activity, accounting for just over 4.2% of global launches according to Innova Market Insights in the 12 months to the end of July 2014. This is up from less than 3% five years ago; however, and the actual number of launches has nearly trebled over that period. Asia continues to dominate in terms of RTD coffee introductions, accounting for more than half (53%) of the global total, ahead of Europe with 30% and North America with 11.5%. In the U.K., the Modern Milk range, which is manufactured by Lakeland Dairies’ foodservice arm Pritchitts, was recently relaunched after a two-year sabbatical. Targeting college students with a positioning of being a healthful snack, the long-life, semi-skimmed flavored milk range comes in three sophisticated flavors: Chocolate with a Hint of Fudge, Coffee with a Hint of Vanilla and Strawberry with a Hint of Cream. In the States, Shamrock Farms recently launched a first-of-its-kind fat-free protein milk that complies with new USDA standards for U.S. schools. Positioned as flavored milk, the product comes in 12-ounce bottles, which comply in size for middle school and high school students. The milk is packed with 20 grams of high-quality protein and no artificial sweeteners, colors or preservatives. A bottle contains 260 calories, 35 grams of sugar and 2 grams of fiber. Sucrose and fructose provide sweetness. This product was previously featured as a Daily Dose of Dairy. You can read more HERE. U.S. retailer Safeway adds a light version to its private-label, protein-enhanced dairy beverage line. 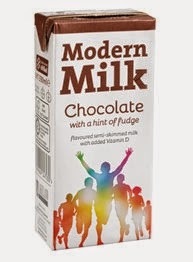 Sold under the Lucerne brand, new Plus Protein Light Dairy Beverage comes in vanilla and chocolate varieties. The 12-fluid-ounce vanilla variety contains 180 calories, 0 grams of fat, 20 grams of sugar and 21 grams protein. Based on nonfat milk and milk protein concentrate, calories and added sugars are kept low through the use of acesulfame potassium and sucralose. Purefood in Germany markets Lycka Frozen Yogurt. The hand-packed 600-milliliter containers come in four all-natural varieties: Mango, Strawberry, Vanilla and Zitrone (lemon). A 100-milliliter serving contains 84 calories, 0.8 grams of fat, 2.5 grams of protein, 16.3 grams of added sugar and 1.8 grams of fiber. Chicory root fiber helps keep calories and sugar grams low while also contributing fiber. Two trade shows ran simultaneously this week in Las Vegas. The NACS show is for the convenience store industry while SupplySide West is all about ingredients for better-for-you foods and supplements. I attended both, and am pleased to report that at both expos, dairy was a star. At SupplySide West, whey protein suppliers showcased their treasures in everything from nutritional beverages to popcorn. Texturant and sweetener suppliers showcased their ingredients in dairy applications, everything from no-sugar-added chocolate milk to a cultured dairy dessert. It’s a good time to be an innovator in the dairy industry...the possibilities are endless. Fluid milk and dairy-based beverages were abundant at NACS. Organic Valley was in full force at NACS with its Organic Fuel and Organic Balance Milk Protein Shakes, which were first introduced at Expo West in March 2014. Both beverage concepts are shelf-stable and packaged in plastic bottles. They both come in chocolate and vanilla varieties. Organic Fuel is positioned as a recovery shake and comes packed with 26 grams of high-quality milk protein. Organic filtered skim milk is the primary ingredient, with each 11-ounce bottle containing 260 calories and 6 grams of fat. Organic Balance contains 190 calories and 15 grams. For more information on Organic Balance, link HERE. Both drinks include the lactase enzyme to make them lactose free. 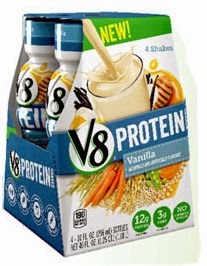 The Campbell Soup Company was really talking up its V8 Protein Shakes, which blend juice from sweet potatoes and yellow carrots with five different sources of protein, including milk protein concentrate, soy protein isolate, pea protein isolate, whole grain brown rice protein concentrate and quinoa flour. To read more, link HERE. 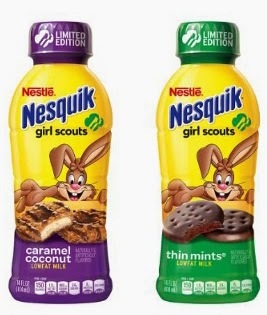 Nestlé was drawing quite the crowd with its Limited-Edition Nesquik Girl Scout Cookie Beverage line. As part of a licensing relationship with Girl Scouts of the USA, Nestlé Nesquik now offers new Nesquik Girl Scouts Thin Mints and Nesquik Girl Scouts Caramel Coconut flavors. The limited-edition product is on store shelves now and retails for $1.99. These new Nesquik low-fat chocolate milk beverages combine low-fat chocolate milk with two of the most popular Girl Scout Cookie flavors to create a delicious on-the-go beverage perfectly suited for c-stores. There were a few more very impressive single-serve milk concepts that debuted at the show and they will be featured very soon as a Daily Dose of Dairy. Stay tuned. I’m old fashioned when it comes to calendars. I like my DayMinder black book with a month-at-a-glance and weekly scheduling. It needs no battery or password and never crashes. I bought my 2015 version a few weeks ago and it is filling up fast. First, though, I would like to share two flavor trend articles written by my colleague Monica Watrous at Food Business News. Both slide shows include a number of innovative dairy foods. To read “Pumped about pumpkin,” link HERE. To read “Fall flavors extend beyond pumpkin,” link HERE. 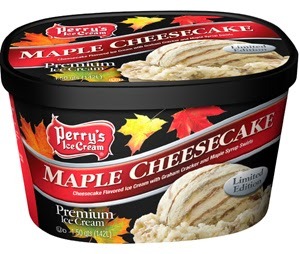 The yummy treat featured here is the most recent offering from Perry’s Ice Cream. Maple Cheesecake is cheesecake-flavored ice cream raked with graham cracker swirls and a maple syrup twist. Now, more on the Anuga FoodTec fair taking place March 24 to 27, 2015, in Cologne, Germany. This event is held every three years, and is often the only expo where many global industry suppliers exhibit. Because the shows are three years apart, the innovations are plentiful and ones I have historically been impressed by, in particular in fluid dairy packaging. Anuga FoodTec is the only trade fair in the world that covers all aspects of food production. Whether machines or systems, packaging material and analytics, ingredients or services, the industry presents their innovations and technological visions at Anuga FoodTec. The fair’s new slogan, One For All -- All In One, highlights the fact that alongside technology, devices and applications, the necessary materials, e.g., packaging, ingredients and all other important building blocks of the production and packaging process, will be on display. In addition, “Food Ingredients” is being introduced as a new segment in 2015, and a stronger emphasis will be placed on Packaging. At the last edition in 2012, Anuga FoodTec drew a record-breaking 43,000 highly qualified trade visitors from 126 countries. Visitors grew by 27%, space by 21% and exhibitors by 10%. Current exhibit and space sales promise yet another record-breaker for the 2015 edition. The expo attracts C-level executives, plant and production managers, R&D leaders and category buyers. An impressive 78% are directly involved in decision making. All top-10 global food and beverage manufacturers attend. It is a truly international trade platform with 44% of visitors hailing from Germany, 39% from Europe (excluding Germany), 5.8% from Asia, 5.3% from Africa/MENA and 4.3% from the Americas. But don’t worry, English is the language of the expo. The top-10 international visitor countries are The Netherlands, Russia, Switzerland, Italy, France, Belgium, Turkey, Sweden, Poland and the United Kingdom. Anuga FoodTec is organized by Koelnmesse and the DLG (Deutsche Landwirtschafts-Gesellschaft – German Agricultural Society). For more information, email HERE or link HERE. Hope to see you in Cologne. It's on my calendar!